I have written before about the importance of rejecting false choices when it comes to discussing our places. Most urban places are large and diverse enough that they cannot be easily pigeonholed or painted with an overly broad-brush. Is Akron getting better or getting worse? The answer, of course, is “both”, or “neither”, or “it depends”. And what it depends upon is which neighborhoods we are talking about. Akron, like all larger cities, is full of a wondrous array of people, places, and things. 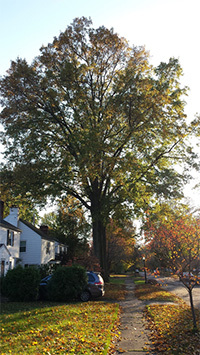 It is at the neighborhood level that its diversity becomes most apparent. The oft-quoted thumbnail sketch of New York is, of course: “It’s a wonderful place, but I’d hate to live there.” I have an idea that people from villages and small towns, people accustomed to the convenience and friendliness of neighborhood over-the-fence living, are unaware that life in New York follows the neighborhood pattern. The city is literally a composite of tens of thousands of tiny neighborhood units…Each area is a city within a city within a city…So complete is each neighborhood, and so strong is the sense of neighborhood, that many a New Yorker spends a lifetime within the confines of an area smaller than a country village. Let him walk two blocks from his corner and he is in a strange land and will feel uneasy till he gets back. While Akron is far smaller than New York, its neighborhoods still contain considerable variety in terms of history, culture, socioeconomic characteristics, and the built environment. The city contains neighborhoods that were built in the 1920s, where every fourth house today is vacant, and the median sales price is below $50,000; and it contains neighborhoods where houses built during that same time period regularly sell for $500,000. The city is home to neighborhoods where upwards of 75% of the residents are college-educated, and it contains other neighborhoods where less than 50% of the residents have graduated from high school. My purpose in writing this post is to give the reader a sense of the rich cultural and socioeconomic diversity that can be found here. In the first section of the post, I give a general overview of Akron’s 20 primary neighborhoods, dividing them into seven general categories. In the second section of the post, I present a variety of socio-economic data for 210 secondary neighborhoods, in order to illustrate what our neighborhoods look like and who lives in them. 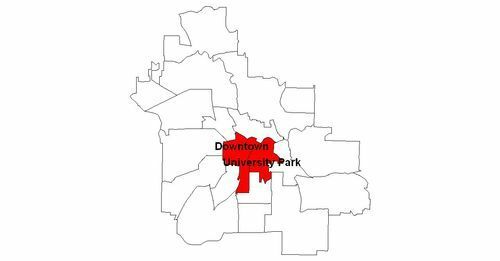 Two neighborhoods (Downtown and University Park) – form the urban core of the city. Both of these neighborhoods are located on or near the original site of the City of Akron, which was established in 1825, and expanded primarily toward the south and east until around 1890. Today, these neighborhoods form the commercial, cultural, and government center of the city. They have gone through a dramatic transformation over the past 60 years, as many of the original buildings and houses have been torn down and much of the street grid has been altered beyond recognition. 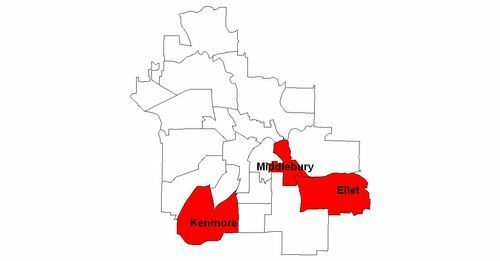 Three neighborhoods (Middlebury, Kenmore, and Ellet) once existed as independent cities and towns. Middlebury, the oldest of the three, was established in 1822, and actually predates Akron itself. It was annexed by the City of Akron in 1872. Today it suffers from widespread vacancy, and is one of the lowest-income neighborhoods in the city. Kenmore and Ellet developed as outlying “streetcar suburbs” and were both annexed by the City of Akron in 1929. They were both settled heavily by Appalachian whites (primarily from West Virginia, Kentucky, and Tennessee) that moved to the city to work in the rubber and tire industry. Both neighborhoods maintain a strong identity up through the present day, and when residents are asked where they live by someone from out of town, they are as likely to reply “Kenmore” or “Ellet” as they are to say “Akron”.